This book drew me into the drama, intrigue and ambiance of ante-bellam New Orleans, Key West, the lighthouses that gave safety to mariners off the Florida coast, Havana, and the Seminole wars. I love historical fiction that encompasses this time period which predates the American Civil War. I liked the protagonist, Emily Lowry, who married after a whirlwind courtship a man who was not ideal by her family’s standards – and moved her from sophisticated New Orleans to a rough and tumble Key West long before it grew into the gentile artists colony that it became. She followed her new husband, whom she barely knew, to Key West and ultimately to a small island where they tended a lighthouse that was integral to keeping shipping vessels from crashing onto a coral reef. This is the story of a feisty woman who bucked convention, learned to be her own person, embraced forbidden love, made some pragmatic decisions for survival, and ultimately lived the life she wanted to live – albeit partially in the shadows. I liked Emily. Her only true ally was her sister Dorothy, who loved and supported Emily but also made decisions against Emily that made sense for the time and place. While some may have anger at decisions Dorothy made, I fully understand why she did what she did. And so did Emily. The book was beautifully written. The story was so engrossing I didn’t want to put it down. That signifies a good book for me. 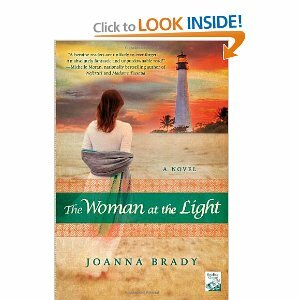 I would recommend The Woman at the Light for anybody who loves historical fiction involving intriguing women during the early days of America.